Does Cutting Out Sugar Lead To Weight Loss? When it comes to sugar, it’s often all or nothing. 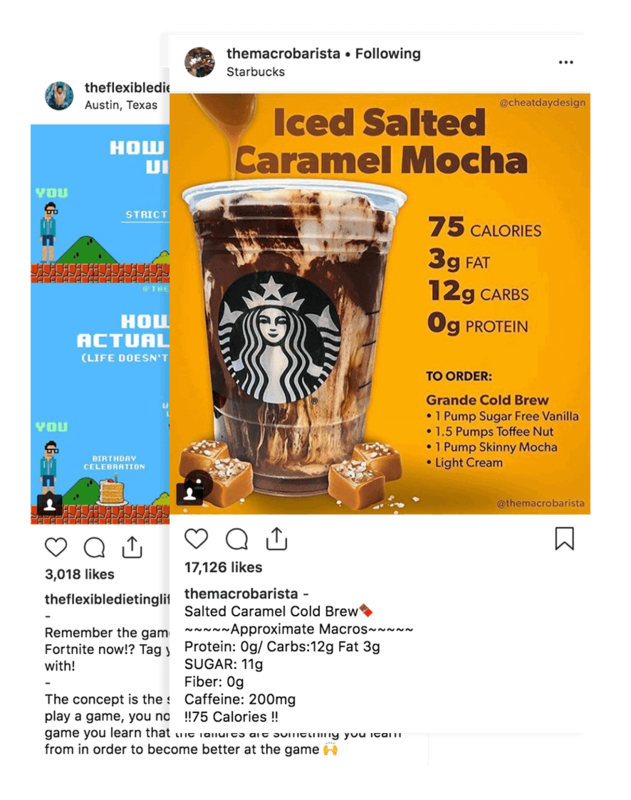 People decide they’re cutting out sugar completely, and won’t even eat fruit because of the sugar content. First of all, eat fruit. It’s good for you. Second of all, sugar is not the problem. Your terrible diet is. Yes, most “junk food” is loaded with sugar. But it’s not the sugar that makes us fat. 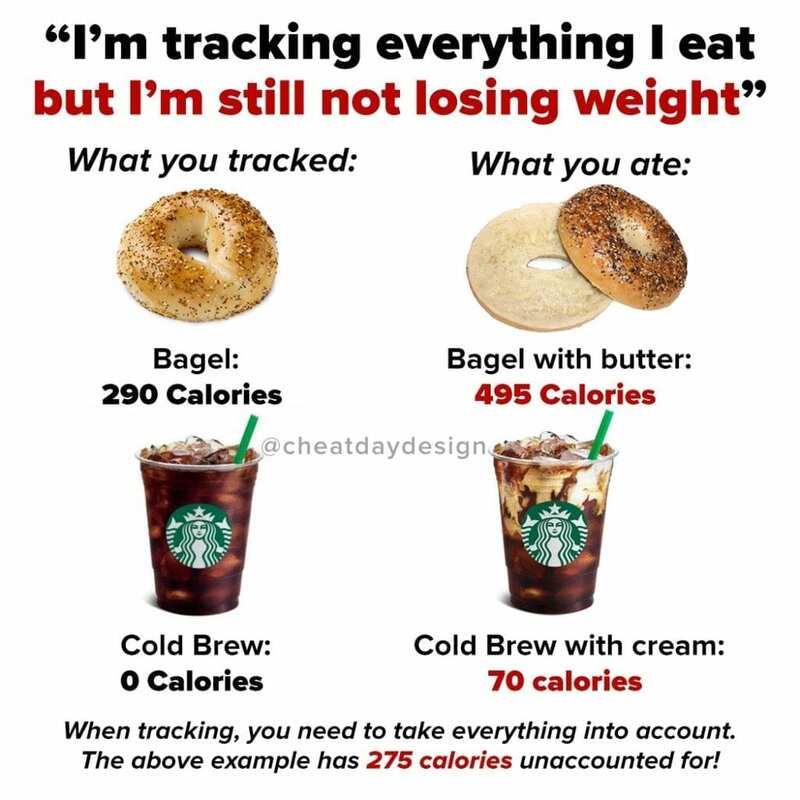 It’s the fact that this food is typically very high calorie and we eat way too much of it. 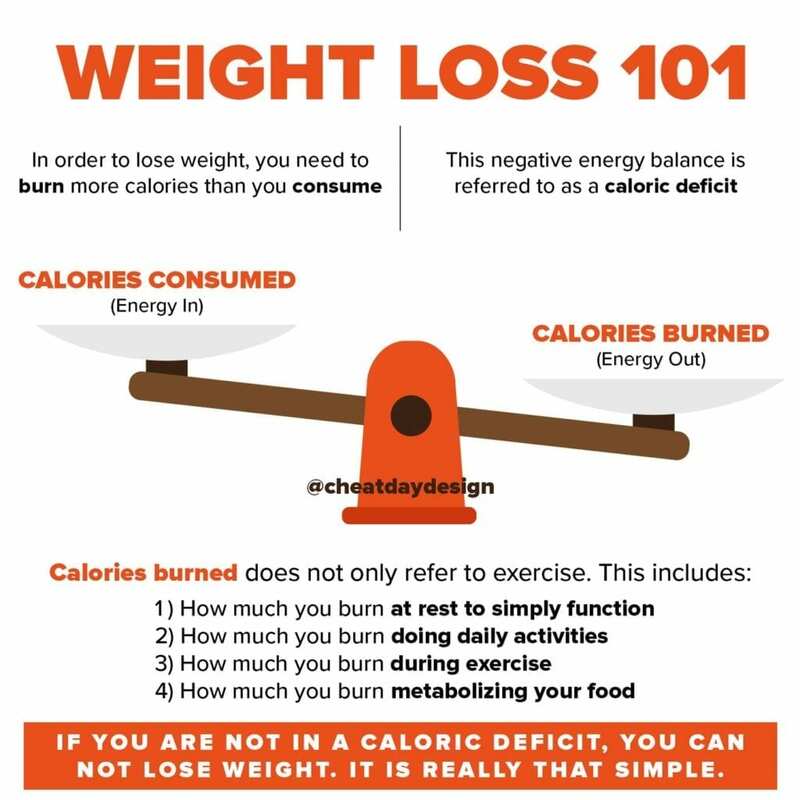 Because if you’ve learned anything from me, it should be that a caloric surplus = weight gain. The problem boils down to not knowing how to eat. A lot of people’s days look like the one on top. It’s an exaggerated example, but not really far off. 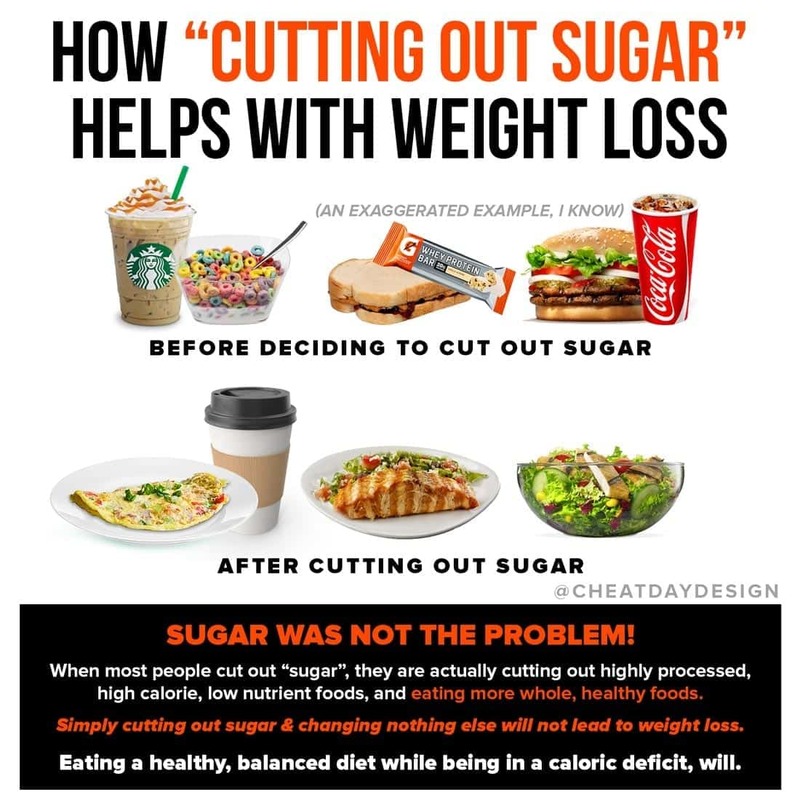 Once they decide to cut out sugar, they actually just cut out all of the nutrient-lacking, high calories foods. When you cut those foods out, you start eating more whole, nutrient-dense foods, feeling great and eating less overall. This is often chalked up to “giving up sugar”, but it’s a product of eating healthier overall, and eating less calories. I’m a major advocate of eating whatever it is that makes you happy. I personally am quite the fan of ice cream and wouldn’t give it up for all the money in the world. But there needs to be a balance. Giving up sugar completely won’t magically lead to weight loss- being in a caloric deficit will. And it is much easier to attain a deficit when you eat real food. 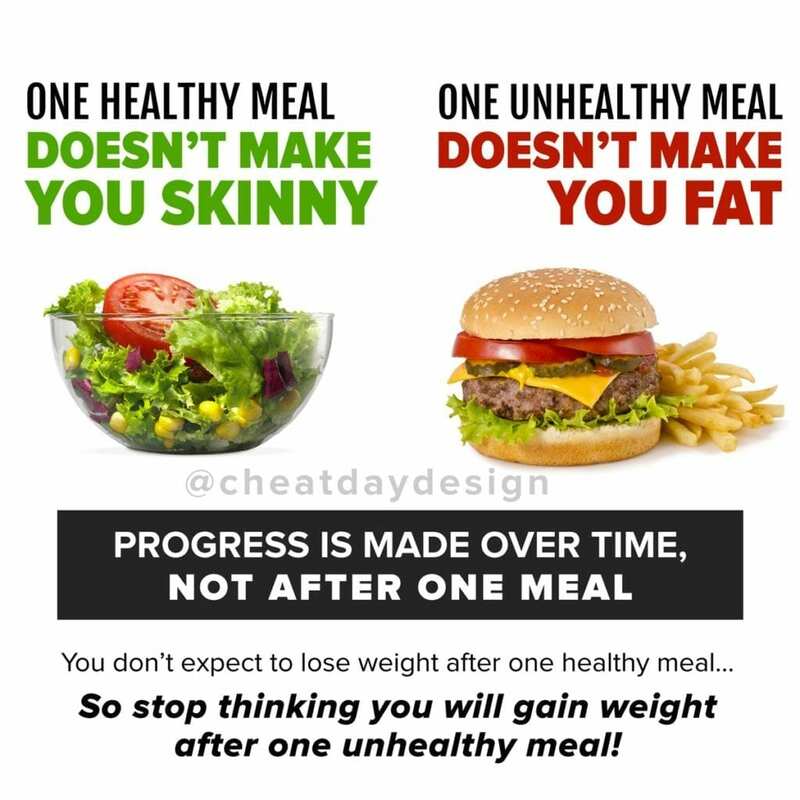 You don’t need to give up EVERYTHING in order to lose weight. 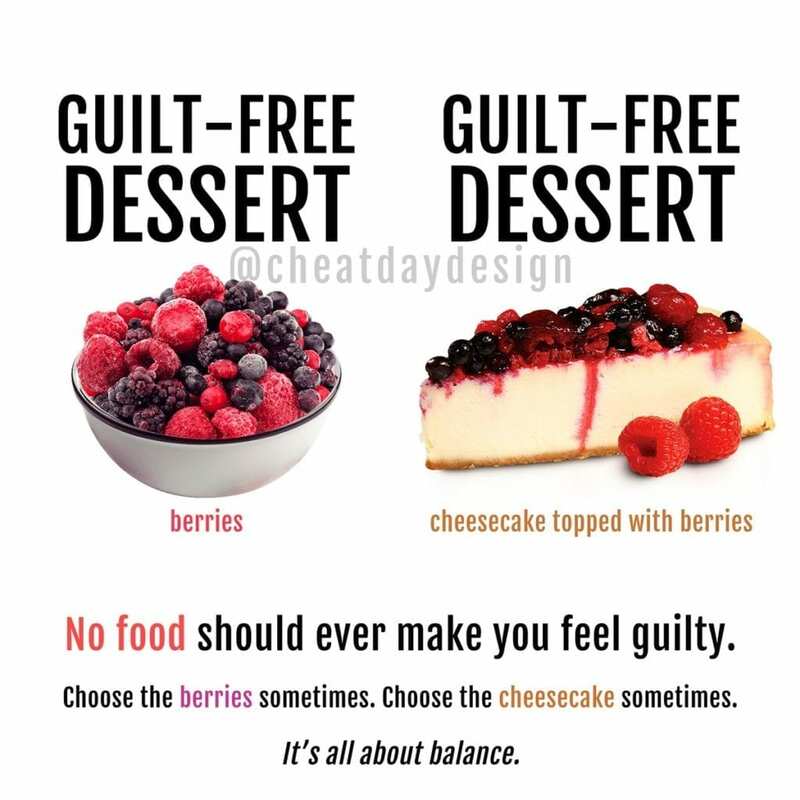 Moderation will always be your best friend. And Froot Loops will be your second best friend.